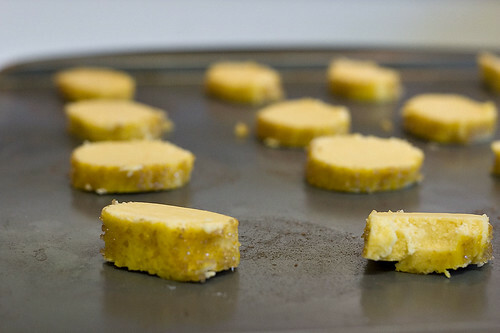 I haven’t eaten sables in years… now I can’t stop thinking about those crunchy sugar edges. I guess I know what I’ll be doing this weekend. i have made these before as well. they are highly addictive. beautiful! I’ve been reading this blog ever since I discovered it a month back, as well as checking out the archives. Really appreciate the effort for sharing the recipes. I’m quite interested to try this recipe as it’s our festivities coming up soon, but would like to check the right weight? for the butter? on my side of the world, the butter are sold either in packs or tubs (I’m from singapore by the way), so am not sure, what’s the right amount for the butter in this recipe. Sorry about being slow to reply but I was camping last weekend (check out the next post shortly) and was away from a computer or internet connection. Mike – They’re good enough to get on your to do list. And you can never make enough cookies (I don’t make enough either). 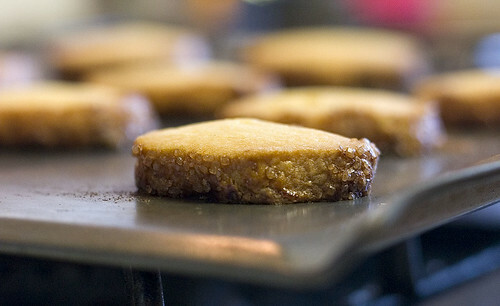 adele – This was my first time making sables and I think they turned out pretty well. I’m sorry I gave you homework but I think you’ll enjoy the results. cindy – Thanks for the kind words. nonah – I’m glad you enjoyed the blog. I just realized that 2 sticks of butter is a bit American centric. It’s 1 cup or 1/2 lbs. or 227 grams. I hope that helps. If you need any more help, just post here or send me an email (it’s on the about page). Thanks Matt, that’s quite good already, I’d try it out soon and hope it all turns out as nice as yours. I’m a 28yr old from Malta…new to this blog. I discovered it quite by chance this week. Wanted to congratulate you on the lovely recipes and pictures. This one in particular looks amazing and I’ve already made a mental note to try it out very soon! I’m glad you like. The sables are particularly good. I actually made some more just the other day.